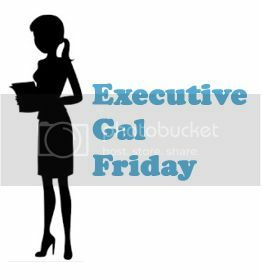 What IS Executive Gal Friday? Perhaps your support staff is already busy assisting with other tasks and can’t commit to a fast turn-around time. Or they might not have the experience to do this particular job without training or a significant amount of direction from you. Either way, someone has to do it, and yes – it may just be easier to do it yourself. We understand this because we’ve been there. From support staff roles to management positions, we’ve been on both sides of the desk. We know first-hand, that the quality of work done on even simple or smaller scale projects reflects the competence of an organization. No matter how small the job, it needs to be done well to be done right. Crooked mailing labels…typos in marketing pieces…incomplete data… So much can go wrong when you hand a project over to someone else. If you’re not confident that they have the time or the expertise to do the job, then you need to look elsewhere. Instead of doing the work yourself, consider outsourcing it to someone who not only has the time, but has also been in your shoes. Executive Gal Friday offers an “executive perspective” on your short term needs. We have worked in law firms, national associations, publishing companies, marketing departments and more. We’ve both taken and given direction, and have learned on the job, how to troubleshoot and think creatively. Whether we’re stuffing envelopes, writing a press release or planning a board dinner, we promise high quality work and unparalleled efficiency. This isn't just what you want, it's what you need. We’ve been there…we know that. To read more about us, see What We Do and Who We Are. We look forward to working with you! A partnership between talented people looking for part time work and businesses in need of competent, efficient professionals to do short term projects. Proud Sponsor of the DC Show!